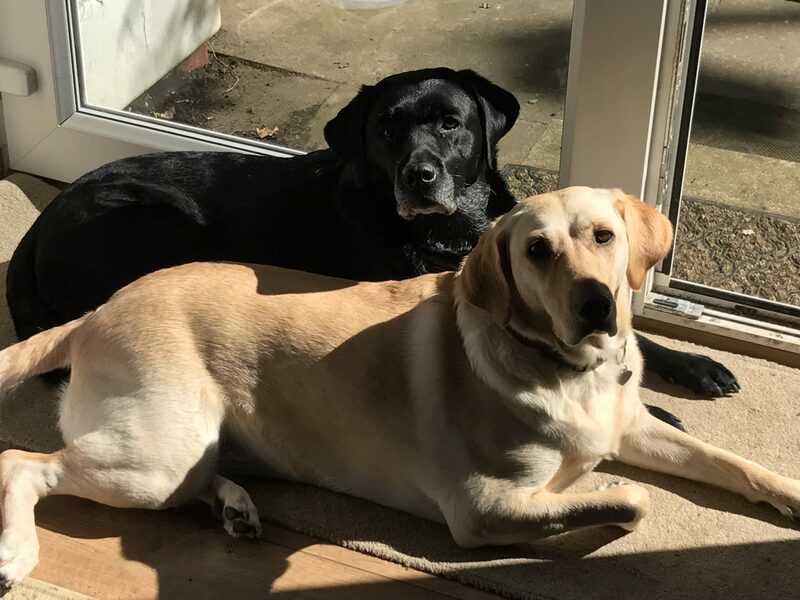 Okay, so this may be seen as an excuse to put a picture of my dog Leah (the blond one) and her friend Evie into a blog, but the latest news from the Italian courts is that dogs are part of the family. Most of us that are dog lovers would probably agree, but one dog loving Italian university professor has gone one further and persuaded a Judge that she was entitled to claim sick pay for time off taken to look after her ailing pet as he recovered from an operation. The Judge accepted her case that her employer, Rome’s La Sapienza University, should count her two days off under an allowance for absences related to “serious or family personal reasons” and that she was entitled to be paid for the two days off. The case had been taken by Europe’s largest animal rights group the Anti-Vivisection League, whose president Gianluca Feicetti, said “It is a significant step forward that recognised that animals that are not kept for financial gain or their working ability are effectively members of the family”. I doubt that this ruling is likely to have too much impact in the UK as our ‘Time Off for Dependents’ provision is generally unpaid, of course that may be different if you have a contractual right to time off for ‘family’ purposes.